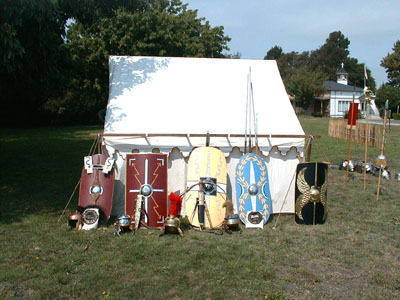 - Another shot of weapons and armour owned by Legio X fretensis. Two gladius type swords are shown here. The Mainz pattern is on the left and the less ornate Pompeii pattern is to the right. Another shot of weapons and armour owned by Legio X fretensis. Two gladius type swords are shown here. The Mainz pattern is on the left and the less ornate Pompeii pattern is to the right.